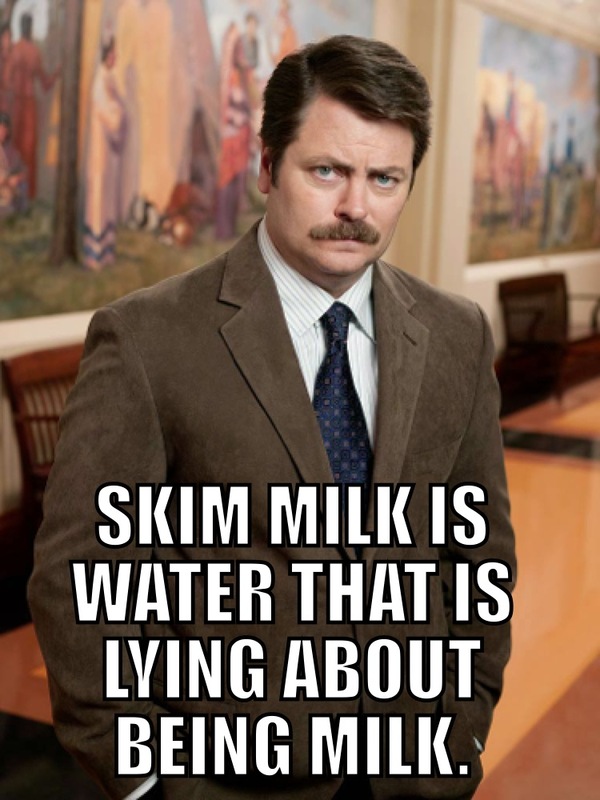 There’s only one thing Ron Swanson hates more than liars: skim milk. Don’t lie about what you are today. Be the person God created you to be. Embrace your quirks and your flaws. Quit trying to be something you’re not. You have a savior who loves you just the way you are. In fact He made you that way. Don’t be like skim milk. combined, it makes a useful concept.